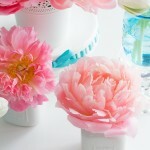 I know many people cringe when thinking about silk or artificial flowers. There is a sense that they look tacky, or cheap, or well, artificial. And on some level, I would agree. 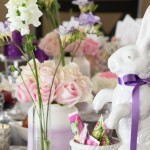 But, there is a whole world of wonderful colours and textures and height out there where artificial flowers are concerned and I really am a big fan of incorporating them into a party design or home decor. And, I’m not just saying that, I actually believe and live it myself. I used a combination of fresh and artificial flowers for my own wedding. For the ceremony, I opted to use fresh flowers at the front of the Church but, I lined the pews with drapings of silk soft pink tulips, cream blooms, artificial greenery and elegant ribbons . I also used artificial flowers for little moments like this easel piece, which I still have today. 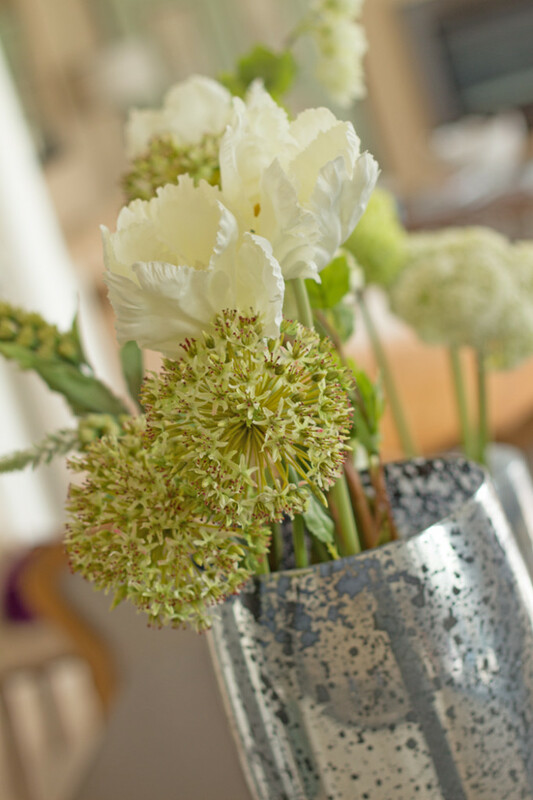 I also decorate in my home by using interesting blooms.I like how artificial flowers add the interest I crave for in my living spaces, and that, like a pillow or great throw, I can instantly change the look by experimenting with different colours or flowers. You can incorporate hues that might not be available naturally, but that work with your colour palette or theme. 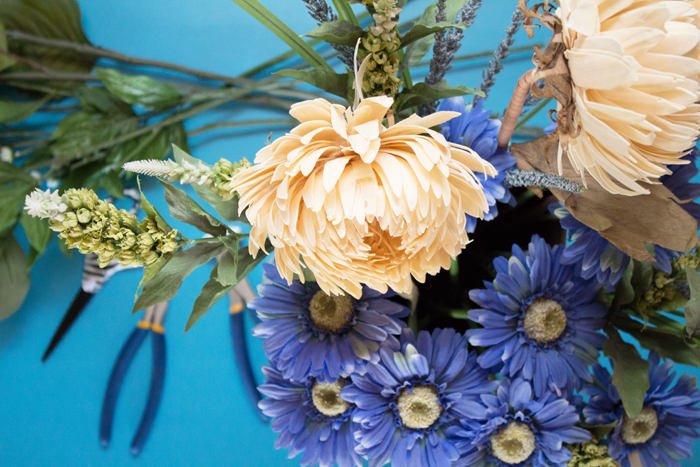 Can’t find that exact right blue or purple in your fresh flowers? I bet you’ll be able to find it in an artificial floral. 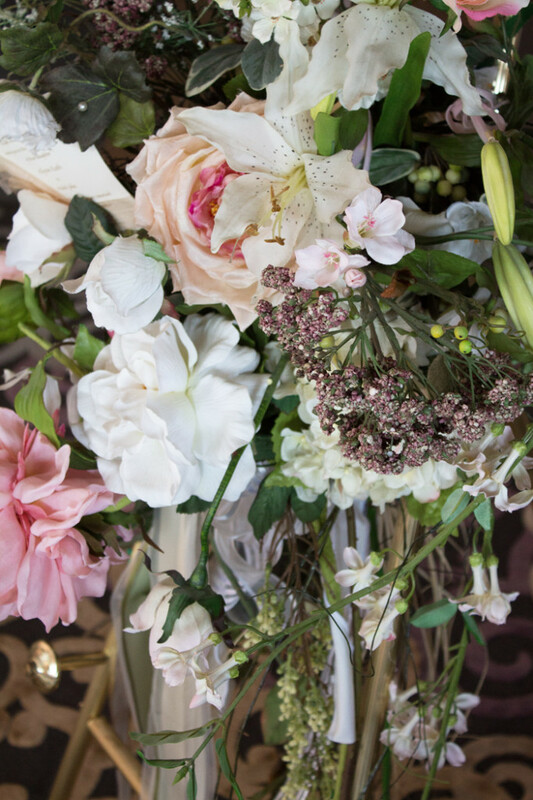 There is an abundance of variety in size and texture and you can create arrangements that go beyond anything you’re able to create with fresh flowers. Don’t get me wrong. 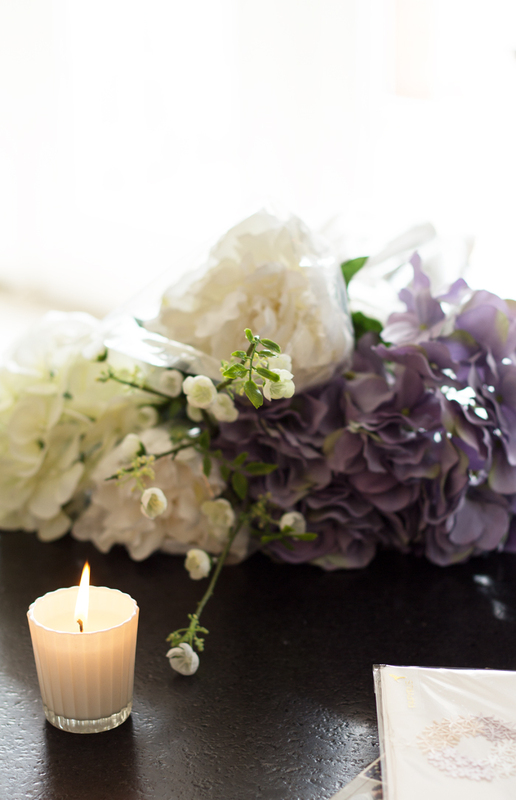 Fresh flowers are always welcomed and should be incorporated into your daily life and party planning. 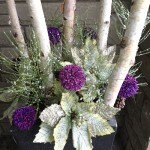 But, don’t shy away from using artificial flowers. The only tools you’ll need are a good pair of wire cutters should you wish to alter the height of your florals, but if you’re cool with the height as they are, then all you need is a really fantastic container. Not sure about using an abundance of silk or artificial florals; then opt for tall branches with buds, or wispy grasses that fall loosely from the container or vase. Just try it. I think you’ll have a lot of fun creating your look. 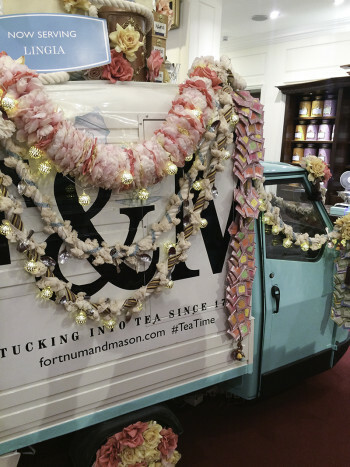 Do you have any questions about your party planning or home space? I provide one-on-one consulting and guidance for party design and development, and home interiors. All virtually through Skype, email and phone. Just send me an email to get started. I’d love to work with you.